ELVIS STYLE CRYSTAL ADJUSTABLE TCB RING FOR ALL ELVIS TRIBUTE ARTISTS CONCERTBELTS UK IS NOW SELLING THIS GREAT AFFORDABLE TCB RING AT ONLY £9.95 THIS WILL LOOK GREAT WITH ANY ELVIS STYLE CLOTHING GRAB YOURSELF A GREAT BARGAIN WHILE STOCKS LAST POSTAGE UK IS £4 1ST CLASS RECORDED POSTAGE EUROPE IS £9.95 POSTAGE USA £10.95 CANADA AUSTRALIA IS £11.95 PLEASE CHECK OUT MY OTHER ITEMS IN MY EBAY SHOP RING WILL BE POSTED SAME DAY AS PAYMENT RECIEVED Check out my other items! Be sure to add me to your favourites list! Elvis Presley Aloha from Hawaii. HERE WE HAVE A READY TO HANG PRESENTATION, PRINTED ON PROFESSIONAL High-Quality photo paper and featuring a "Display Only" Disc which is grooved to give the effect of a Vinyl/CD Record. Nice Elvis Presley authentic hair sample, authenticity from the manuscript society. On a A4 size (approx) piece of paper. 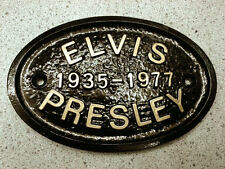 Please see my other Elvis items, we are selling our collection. YOU ARE LOOKING AT A READY TO HANG PRESENTATION,PRINTED ON PROFESSIONAL QUALITY PHOTO PAPER, AND FEATURING A 'DISPLAY ONLY' GOLD COLOURED CD WHICH IS GROOVED TO GIVE THE EFFECT OF A VINYL RECORD. A truly great collection! Love Coming Down (take 4) unreleased. Danny Boy (take 9). It's Easy For You (undubbed master). Blue Eyes Crying In The Rain (rough mix of master). The Last Farewell (undubbed master). For those looking for a reasonable decent Elvis style pair of sunglasses on a budget. Silver colour with Smoke Grey Lens. Hard Case's various styles. 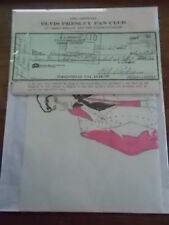 Part of a large Elvis collection being listed. 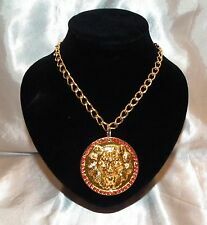 Elvis Presley Collectection Of Memrobilla. Condition is Like New. Dispatched with Royal Mail 2nd Class. Elvis Presley related dvd. Condition is Like new. Interesting film telling the story of the journey to success of B&K enterprises who make the recreations of Elvis' stage and personal wear. 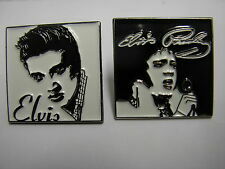 Part of a large Elvis collection being listed. Sealed as new. Elvis handbag & purse. Excellent condition. Only used handbag twice. Purse not used. Diamontes on one side of bag & purse. From smoke and pet free home. Free postage. 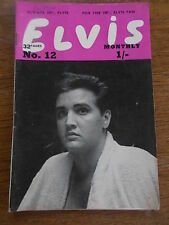 Also 6 elvis monthly magazines. 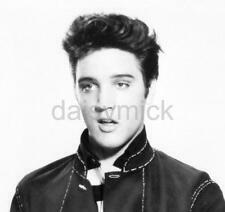 loads of elvis pictures. and all sorts of elvis info. 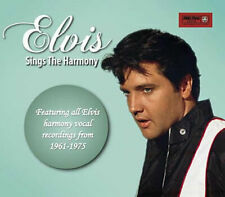 really a must for the elvis fan. elvis jukebox stein anheuser very good condition. Elvis jukebox stein anheuser in very good condition, box is in fair condition,epe collectable. 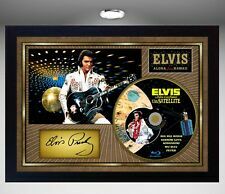 ELVIS PRESLEY SIGNATURE replicaSticker . This is a replica sticker of The King's Signature. The sticker is a single colour design. This Sticker Set Contains x1 Sticker. As usual, this release is presented in a de-luxe 6-panel digipak, with a collection of photos taken in Las Vegas, NV, August 1969. Most of the photos were taken by Ann Moses, editor of Tiger Beat Magazine. 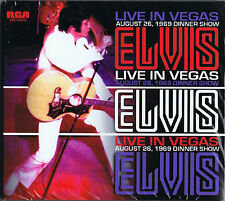 ELVIS PRESLEY DVD. THE LOST PERFORMANCES. ELVIS PRESLEY "1956,THE YEAR IN GOLD, MODEL FIGURE...By McFARLANE TOYS. Large Elvis Mirror. Condition is Very Good. Collection in person only. ELVIS PRESLEY. Tearing ‘Em Up! - Can’t Help Falling In Love - Closing Vamp. For completeness sake, the Boston November 10th show is also included on CD in perfect Sound Board quality. 209 pages hardcover book with loads of rare and unseen pictures of the complete tour! Elvis Clock Royal Heritage. Condition is Good. Dispatched via courier or collection in person is available. Please see photos of the item for more detail. Any questions please feel free to ask. This is the ultimate VIVA LAS VEGAS 3-CD set: includes more than an hour of previously unreleased false starts, break downs, and complete takes! The 8”x 8” slipcase replicates an original Session Reel box. Job Lot / Collection 8x Elvis Presley Books 1970/80s. Condition is Very Good. Dispatched with Royal Mail 2nd Class. Elvis Monthly Order Form. Elvis Record Service Catalogue. ELVIS PRESLEY NOVELTY CHARM BRACELET WITH FIVE CHARMS. THE GRACELAND GATES, T C B, GUITAR, CADILLAC AND ELVIS IN SCRIPT. BAGGED UP TO KEEP IT CLEAN AND SAFE. 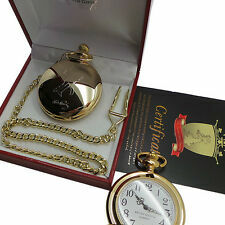 Elvis ZEON presentation watch - In presentation box and boxed! Excellent gift for the avid Elvis fan! Watch still has protective plastic on, immaculate condition. Cardboard box has slight tear in the lid (picture shows this). Dig this Rock N Roll magazine presented with Mirabelle from 4 March 1957. Great cover on this hard to find issue. Very good condition. Money back guarantee if not entirely satisfied. 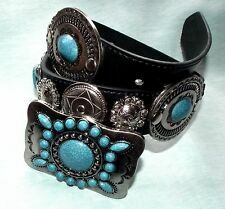 Please see other items currently listed.